This entry was posted on Wednesday, October 14th, 2015 at 10:07 am and is filed under The Next Day: 2013. You can follow any responses to this entry through the RSS 2.0 feed. Both comments and pings are currently closed. The rest of the song is just okay, but I love Earl Slick’s brief solo spot on this. It’s nothing particularly impressive playing-wise, but it sounds like one of the few moments on the album where a sideman was allowed to throw good taste and restraint out the window and really cut loose. Incidentally, I’m such a dork. I said “yay!” out loud when I saw there was a new entry today. What the hell am I gonna do when this blog ends (aside from presumably read whatever other blog you start)? Some dorks had even done their homework and researched Odetta, but not St Catherine. Just checked a bit, and the research was fruitful! Apparently she claimed a mystical marriage to Jesus Christ, including wearing his holy foreskin as a wedding ring. Just hope Bowie keeps trolling Chris by releasing little bits of music every few months from now til eternity, like he’s been doing since The Next Day. Great write up for what is the lowest point on the album for me. Another track that sounds like a Never Let Me Down retread-I hear Bon Jovi crossed with Iggy’s Bang Bang, which is actually a good approximation of that whole 80s misstep. I hope our man feels like he’s done atoning with these recycled bits of NLMD now and moves on. I’d hate to hear Too Dizzy make a reappearance. I see this song as being about the subject of Boss of Me, I’ll Take You There, and a few others. I have a quarter-baked theory that The Next Day is a muddled, non-linear narrative, maybe one that’s made of multiple abandoned stories that were forged together. Basically, it’s about someone fleeing country torn by war and/or paranoia (maybe post-WW II Germany?) for America and trying to become a star. Songs dealing with where she left: The Next Day, Dirty Boys, Valentine’s Day, If You Can See Me, I’d Rather Be High, How Does…, You Feel So Lonely, Heat. The “father” in Heat is the subject of You Feel So Lonely. Songs about the girl: I’ll Take You There, Set The World on Fire, Boss of Me, The Stars Are Out Tonight, God Bless The Girl, Where Are We Now (this could be a return to her home country, or it could be set there and about living in a totalitarian state). Love Is Lost could go in either group. I don’t know where So She would go, or the other tracks. I’m not really prepared to defend this theory because I just thought of it a couple of days ago, but I like it. It’s what the album is to me. So we’ll have a The Next Day musical to contend with one day? I agree to some degree. I do think this album is the product of a few ideas- one of which was some kind of musical. Maybe not all of it though. “The Informer” and “Feel So Lonely” seem to come from this project. To be honest, I wouldn’t be surprised if “Informer” shows up in Lazarus. What’s so lovely about this release though, is the vast amount of music put forward allows you to shape your desired Bowie album/EP/singles any way you want. Oh, the song: this is one of my favorite songs on the album. I love the lyrics. When else has Bowie written such a clear, direct story song? It’s a bit Ray Davies. And it rocks ferociously. It’s a shame that it will never be played live because it would slay. I wish Bowie was louder in the mix, but that’s true of nearly every song on the album. Yeah, I hear the Ray Davies showbiz story in there too. David nailed it above with saying it sounds like Bang Bang. It is my least favourite TND track. I like the verses and the little jumping harmonies within them. I think the lyrics have some depth to them as the entry excellently explores but I just can’t get over the stock-rock construction of the music and that juddering chorus. And we get to hear it for over half of the 3 and a half minutes. Bowie’s record for songs about men named Dylan isn’t looking too strong. Much as I love TND, I would agree that it needs more songs like Dirty Boys, and fewer like this one. For what it’s worth, the best of the album’s duds: I sort of admire the sheer incongruousness of it, with the dropping of names like Van Ronk’s over a backing track that sounds like Bang Bang 2. And it is performed with conviction, I suppose. As the blog winds down (for now), I must pay tribute to one of its outstanding features: the photographs. The highest compliment I can make is it is impossible for me to hear a DB song now without picturing the accompanying images. 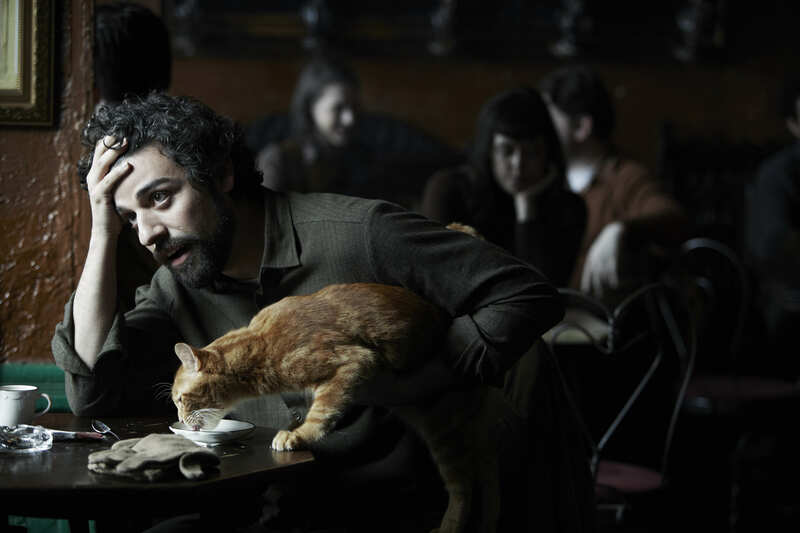 As far as the most recent postings, I’m pleased that you chose Inside Llewyn Davis for this song (it was pretty much what I expected, actually), and I really love the photo paired with Dirty Boys. My all-time favourite image-music matchups on PAOTD might be those from the Heroes-Idiot period, though: I’m particularly in awe of the spine-tingling rightness of the photo used with Dum Dum Boys. Rather than Dylan et al, I seem to habitually read these titles in an ironic way , specially since BD these days, is so far removed in time and even space , from the urgent need to be famous or being told that you are destined to be, So , probably initially very wrong, I cant help thinking about the ill fated and ultimately tragic “heir” to the Space Rock Throne , St Jobriath. The lyrics tend to seem rushed and wash over me , the chorus seems mundane, the guitar lifts what would otherwise be a forgettable track. Now “Fire,” that’s a real mystery. Lots of unknowns. Known and unknown. The black bombshell in the song, she remains at large. Incognito, as the kids used to say. Some think it was Odetta, that powerhouse singer from the Latex Archon. Man, she could shatter a factory full of newly minted microchips just by opening her mouth if she wanted to. What a voice. Not a bad pick for a suspect, but the facts don’t quite fit if you ask me. That dame had about ten albums by ’63, and she was a sight to hear at the Civil Rights March in Washington that year as well. Not exactly up-and-coming, if I do say so. Now it may be that the woman was a…composite of sorts—a slash and paste job of old audio goddesses like Odetta. Nina Simone. …Maybe a pop of Ava Cherry. Talk about a sweet piece of fruit, that one. And who’s the fella puttin the moves on this mystery girl? Smells like one of Leon’s moves, if you ask me. He sure had a talent for scouting out fresh meat, I can tell you that. But he’s dead now. So that muddles things. No, this fella, he almost reminds me of that old band that the architect from Oxford Town always went on about. What was the name? He could talk your ear off with all of those bands. Used to play this one song on the electromagnetic phonograph for me sometimes. Somethin about a cigar. Anyways. Who’d want to remix a character as old and smoky as that one into your artcrime when nouveau is the newest thing? There’s another mystery for you. Musically? No mystery at all. Frankly my dear, it’s a piece of chip, as I like to say. A hunk of junk. Case closed. Nice. I read that with Nathan Adler’s voice and some creepy lounge jazz in my head. I really like this one. Musically, it’s pure, gut-level rock’n’roll of a type that Bowie has done rarely, and done well even less. Like the best possible iteration of Tin Machine. Lyrically, I love the sheer perversity of lyrics about the Village folk scene set to such metallic backing. I mean, what could he possibly have been thinking? Why? Then again why not? the blog is not winding down , there are 5 new songs this year to review. Don’t worry; I’m going to make a blog chronicling Chris’ Bowie write-ups, entry by entry. I’ve wondered if the song wasn’t more of a threat to the person at the center. Makes me wonder if Bowie wasn’t writing an oblique “Candle In The Wind,” feeding off Monroe conspiracy theories. “I can work the scene” could be a crime scene, not just the media stage. Almost every line allows for a double reading- both stardom and tragedy. With that said, it’s still one of my least favorite songs from the album. Has something to do with the name dropping- it doesn’t really set a mood. I’d rather this was a “Watch That Man” where the lyrics painted a picture of the scene, rather than reading names off a list. Yep I have to concur with the majority view here: this is pretty much the nadir of TND, thanks to its utterly conventional plod-rock arrangement and lyrics that have absolutely no flair. I really like this song, and it seems really appropriate that you have broadway and the folk scene jutxtaposed against each other in the lyrics to what’s very much a big-rock song musically. There are competing ideas of authenticity bound up in these form. For me, the way all of that rubs up against each other on this track is quite pleasurable. “Set The World on Fire” has precisely the same ultimately flawed attributes as two other TND tracks, “Boss of Me” and “Dancing Out in Space”: catchy and musically interesting verses, but plodding, generic choruses that are also repeated too often. Take out these 3 songs and you have an 11-song, LP-length truly excellent album that really packs a punch. Agreed, those are the three tracks that really kill TND’s momentum for me. So many modern albums are hurt by the newer standard of getting the thing up around an hour instead of the old 40-45 minutes of LP days. Indeed, some of the greatest Bowie LPs were even shorter than 40 minutes: Ziggy, Station, Low, and Lodger are each between 35-38 minutes long. I think that’s the main reason that there are more great albums from the 60s – 80s than form the 90s-now, particularly from the late 90s onwards. In the vinyl era artists were limited by the time constraints of vinyl, so they could only put their best stuff on the album. But with CDs, there’s so much more room for self-indulgence. Even “excessive” bands like Rush and Pink Floyd released albums under 40 minutes long, and they’re all the better for it. There was only room for top-notch songs. Chris, just to let you know (maybe you saw it?) that the acme of musicians has finally made it into the acme of dramas: Benedict Cumberbatch’s Hamlet, beamed live around the world last night, wore a Bowie t-shirt (Bowie as Ziggy, making his hands into glasses/binoculars- enlighten me…). Late to this party…Don’t have much to say. It’s a solid rock song, IMO. Fun enough. Hi. I’m looking for Bowie’s interview with Rick Moody mentioned here but can’t seem to find it. Do you have a link by chance? thanks! it wasn’t an interview, just DB sending Moody a list. New album “Blackstar” was just announced. Looks like you’ve still got quite a few songs come January! Damn, I am not keeping up with these entries lately. I wish I had more time to really sit and absorb these songs as they’re being covered. This song energizes me; it’s a happy tune that I come back to when I need something fun. There are some great lines, too. I’m going to go way out on a limb here and put forth that, contrary to all the Greenwich Village stuff, Bowie is paying a very sly tribute to Annette Peacock. so knowing what we know now about bowie’s aborted bob dylan play, and this track’s broadway-vibe, is it fair to guess that this could’ve had its genesis as part of that project? not at all hard to imagine this slotting into the mooted production in any case.